I love that! Well done. The texture is awesome. Here's to many more finishes! I'm running a fabric giveaway, you are welcome to enter! Oh wow! 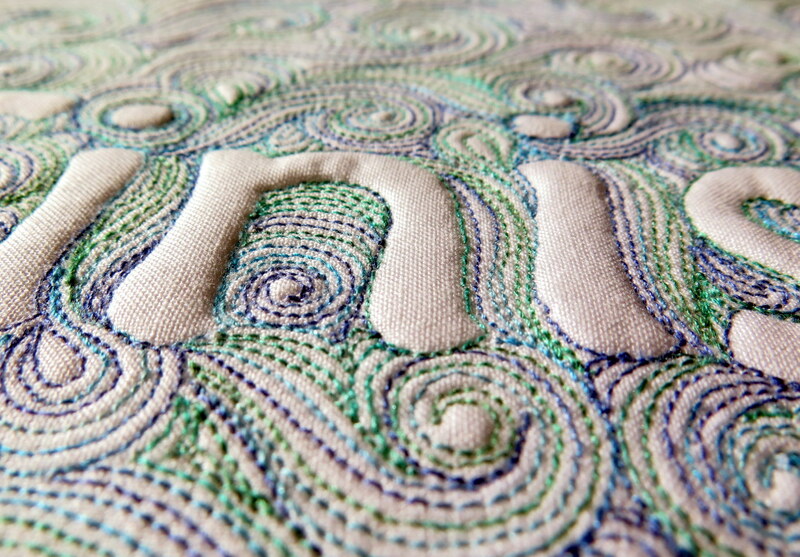 That is gorgeous quilting, and so tiny. "Start" is a great word! Ok I accept your challenge.. as soon as I finish the two Baby quilts on my wall...;meant to start today but when I walked into my sewing room. it started shouting to me..clean me up..organize me..go to dollar store...(that is my first clue that I am procrastinating)... oh crap it is dark out now so I will start again tomorrow. Does this happen to you? Inspiring. What a wonderful finish! What a beautiful piece! 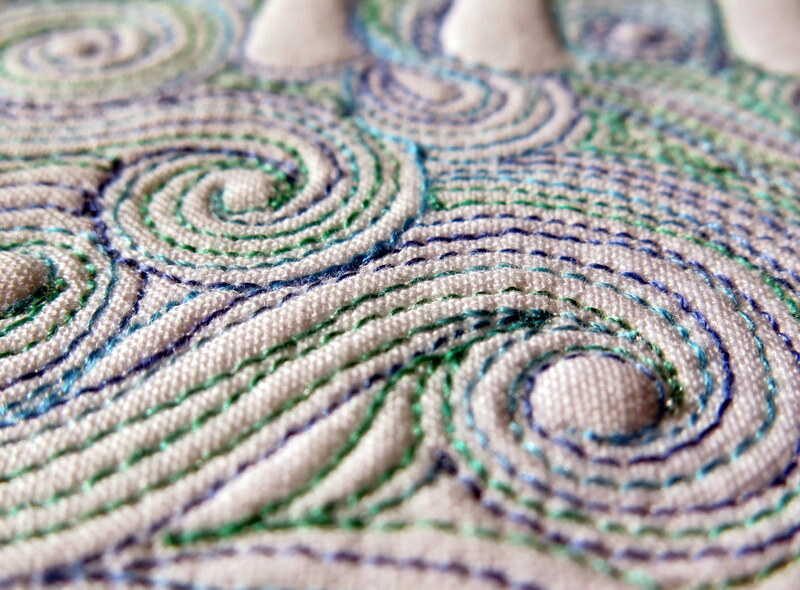 Great use of variegated thread, too. 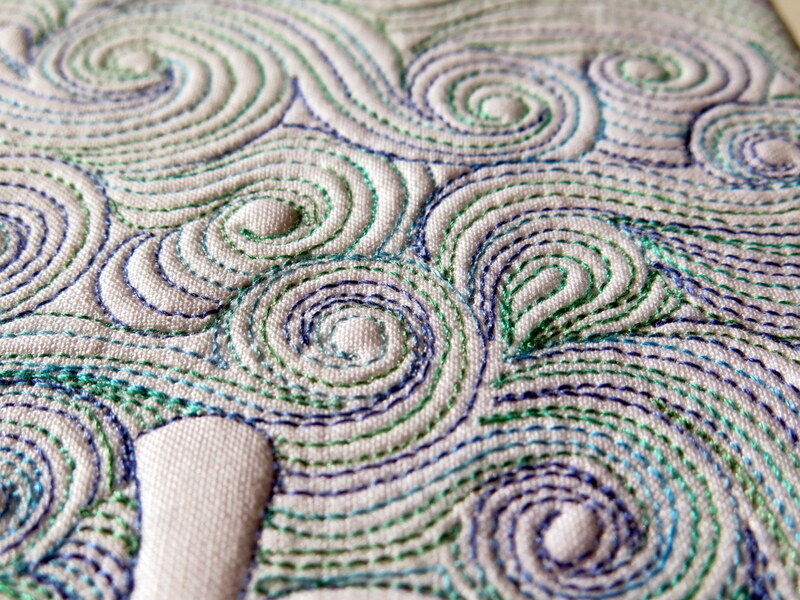 I'm always drawn to those spools but they seldom look as good in my quilting as I think they will in my mind. 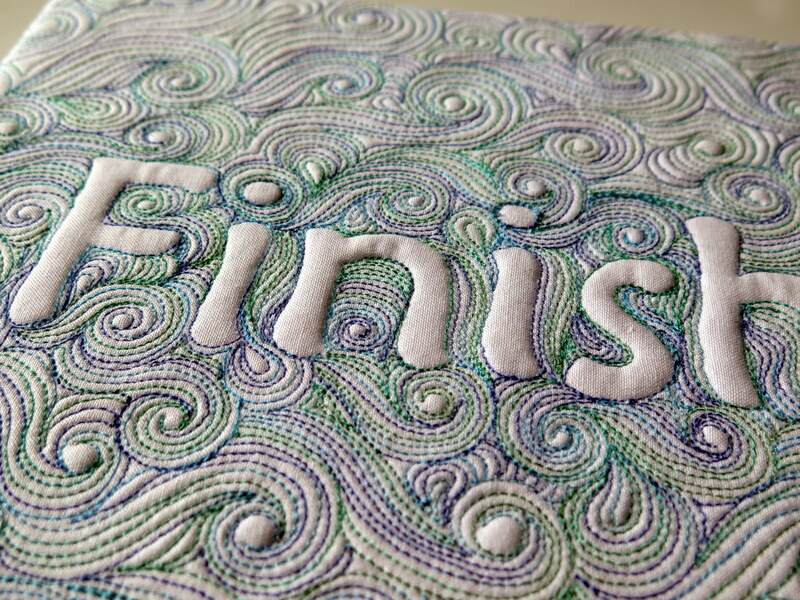 I think the variegated thread really works in your Finish project because there is so much stitching that the thread is just like washes of color, almost like a watercolor illustration. 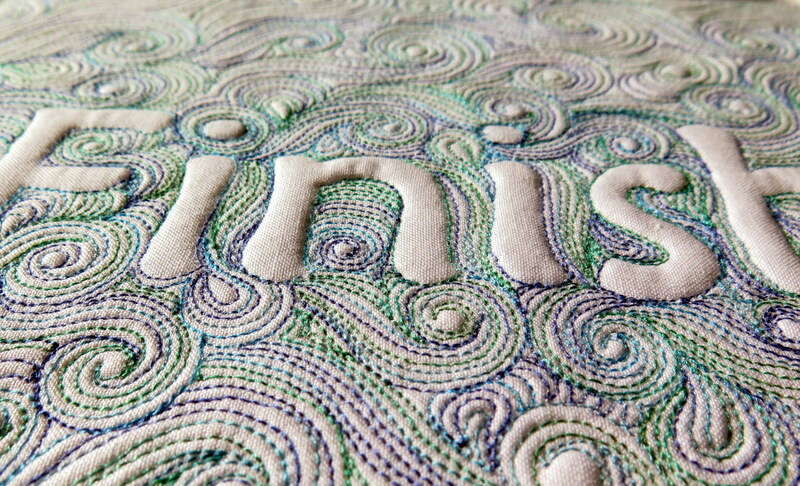 I love the wave quilting, too. Very pretty! Gorgeous. Absolutely gorgeous. And so totally inspirational. Congratulations on another wonderful finish. Very nicely done and best of luck with a successful year of finishes. Wow, what a beautiful piece! I had already picked my word for this year which is "create", this is motivating me to make a similar project for my studio. Any tips on mounting it on a frame? I have done it in the past but always have trouble with the corners because of the thickness of the batting. I really enjoy your blog. Gorgeous, gorgeous, gorgeous! I love the colors too!!! My pile of tops to quilt is growing as I finish up flimsys. Now if only I could conquer my lack of interest in sandwiching tops. A great piece, Amy. I invite you to share it at WIPs Be Gone. We need to see what sticking to is can produce. Love it! Beautiful piece. Great idea. I have no idea what my word for the year is yet, still thinking on that one. I just followed you on IG. I'm iquilt4fun. Follow my friend Linda, hrckal_thequiltedpineapple. You mentioned enjoying her work once.